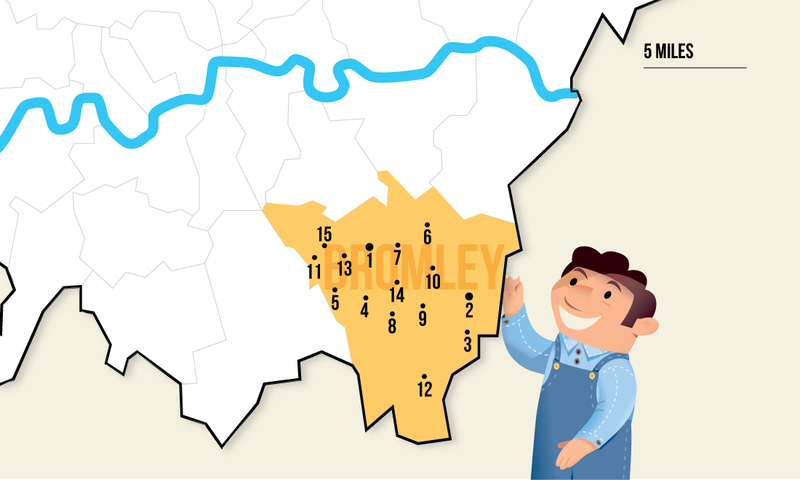 I’m a handyman covering the Bromley Borough based in the Crofton, Petts Wood, Farnborough and Orpington area, and there respective towns, my handyman services cover nearly all of the Bromley borough, if your town or area isn’t listed on this page then please get in contact to see if I offer my handyman services at your location. The main areas I operate in are listed below and are also numbered to correspond to the map above. In addition to the areas listed above I also supply handyman services to Badgers Mount, Green Street Green, Downe and Halstead.